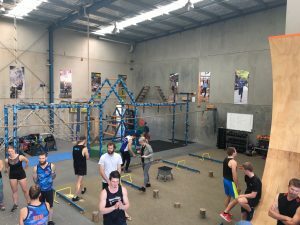 The NSW Ninja League series kicked off this weekend at Obstacle Racing School in Tuggerah hosted by Mick Gleeson for their Ninja Tournament. On Saturday (Sep 2nd), 20 ninjas entered the competition and attempted stage 1 of the course. A great turn out with some familiar faces and some exciting new local talent. Competitors were allowed 3 attempts at all obstacles on this stage. All male competitors finished stage 1 but the standout was Scott Campbell who completed the course in 1:10s, closely followed by Mick Gleeson and Josh O’Sullivan. There were 5 female competitors in the event with Gemma Rolfe setting the pace to finishing the course in 3:05s, followed by Zoe Featonby also making it up the warped wall, Betsy Burnett and Nat Deegan both had near misses on their 3rd warped wall attempts, and Steph Marigos putting up a huge fight almost making it through cannon ball alley. 12 competitors went through to this stage: 9 Males and 3 Females. 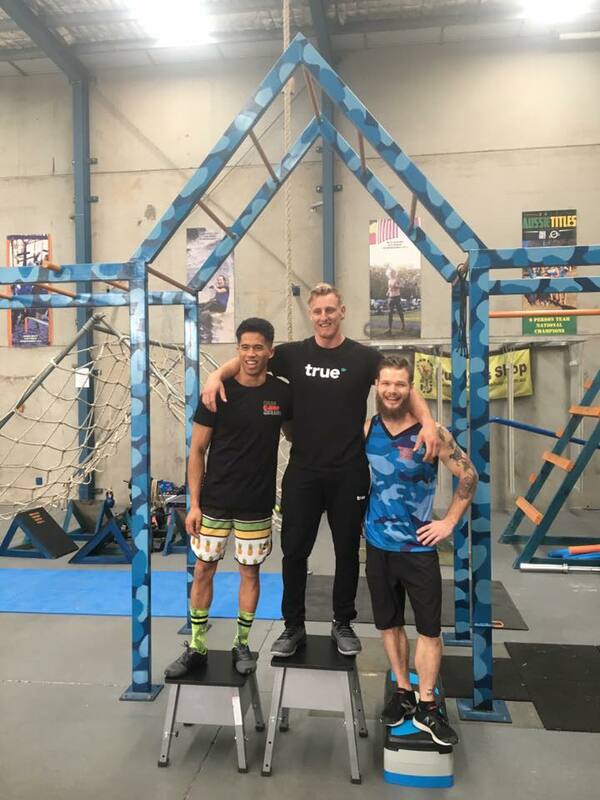 Competitors had one chance only on obstacles for this stage, excluding the warped wall with the standard 3 attempts allowed. The stand out for stage 2 was the Tarzan rope swing – all competitors said this was fun. The upgraded spinning log was the ninja killer and proved to be difficult for a few favorites throwing them off and taking them out of the competition. The bungee ropes also took it’s fair share of victims. 6 competitors went through to this stage, once again only one attempt was allowed for each obstacle. There were 3 finishers – the male podium places being Josh Sullivan in 1st, Pat Teylan in 2nd and Josh H (an OCR school local) claiming 3rd. This was followed by Matt Walker going down on the Salmon ladder, and Mick Gleeson and Scott Campbell on the pegboard. 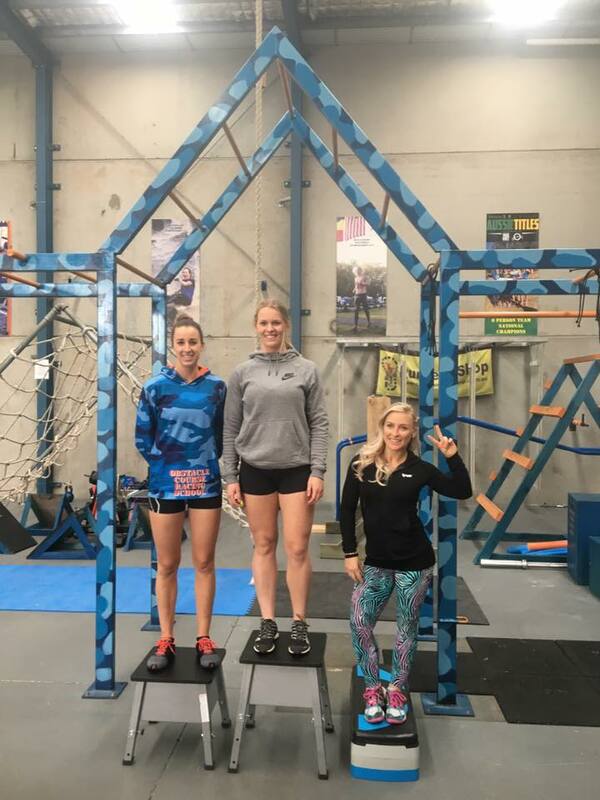 The female podium placers being the fantastic Zoe Fentonby, 2nd place going to Gemma Rolfe and the Disco Ninja herself Betsy Burnett coming in 3rd. From all the competitors, a huge thanks to Mick and his crew from OCRS for putting on this event; and hopefully NSW ninjas get involved in the remaining 3 events in this first season of the league. Great write up Nat! It sounds like it was an awesome competition! Those damn warped walls though.